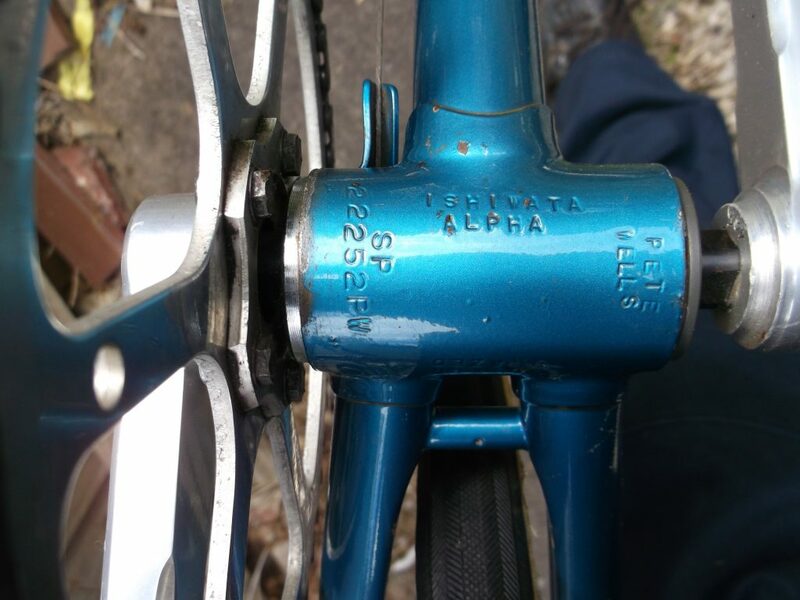 The frame number that is stamped under the crank is SP 22252 PW – I assume the PW is for Pete Wells. It also has PETE WELLS stamped there along with ISHIWATA ALPHA. I don’t know where or when my Dad bought it, but it would most likely have been in the last 20 years or so. He did ride it and race it, I would like to find out more myself. It would be nice for it to go to someone who would appreciate it. 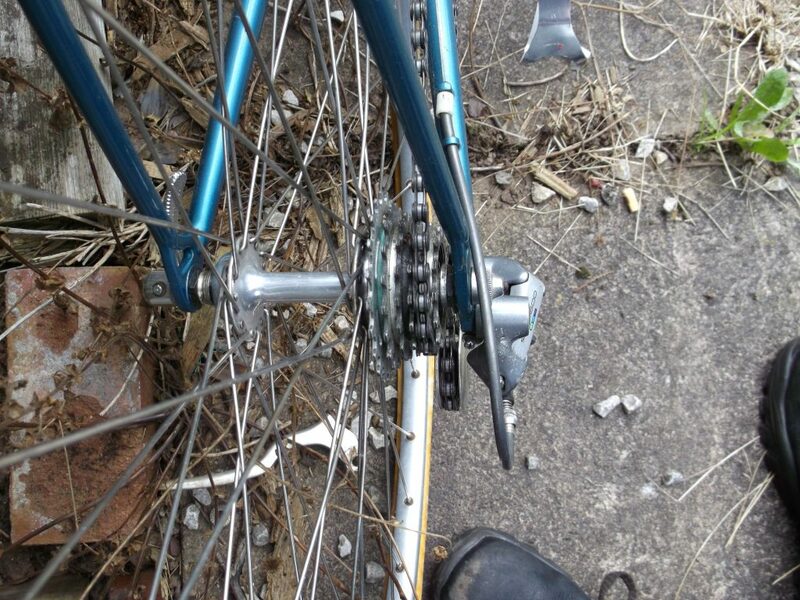 Oh, and there are a spare pair of wheels with it. 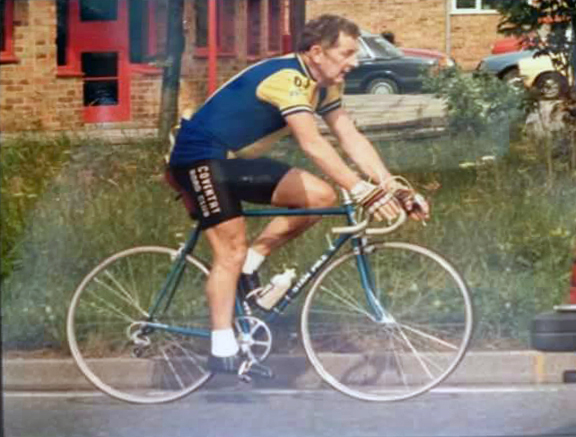 By the way my dad’s name was James Brown and he last rode with Fife Road Club. I contacted Stan’s son, Steve, but in 2015 he unfortunately he couldn’t find any record of the frame. 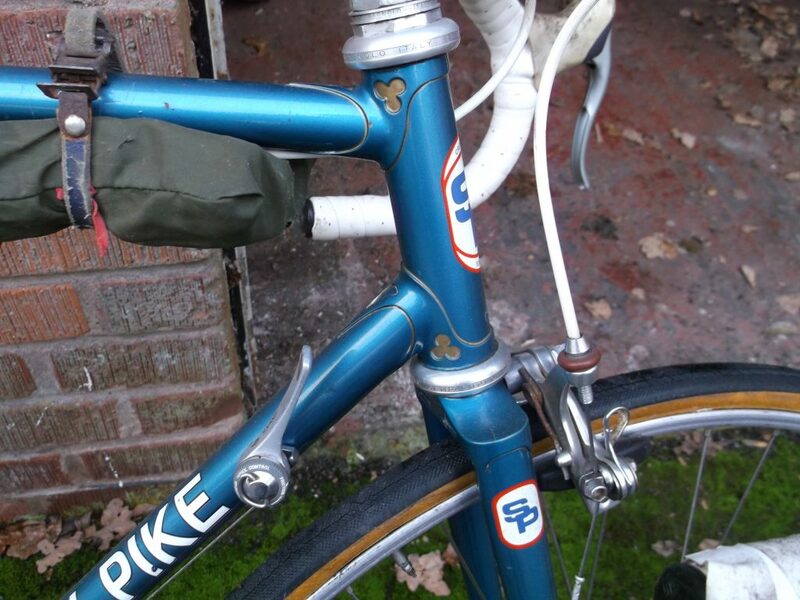 I did however share details of the frame with another Pike enthusiast (thanks Chris!) who provided Graham with quite a lot of information about the build, components etc. 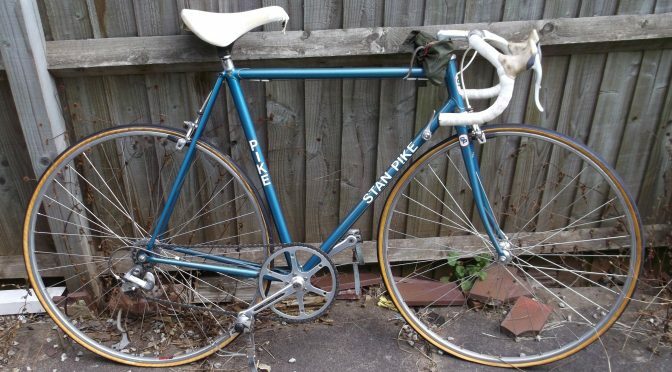 Last night I put it on the facebook site to see what interest came on it and low and behold a guy called Peter Clarke got in touch saying it was one of his bikes from the past. 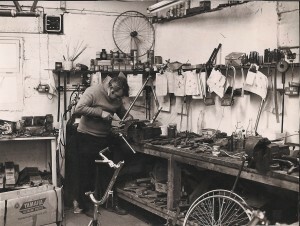 Peter Clarke (formerly Pete Wells) confirmed that it was a frame he had made for himself in 1979, but it was gold then and most of the cycle parts have been changed from when he raced it. 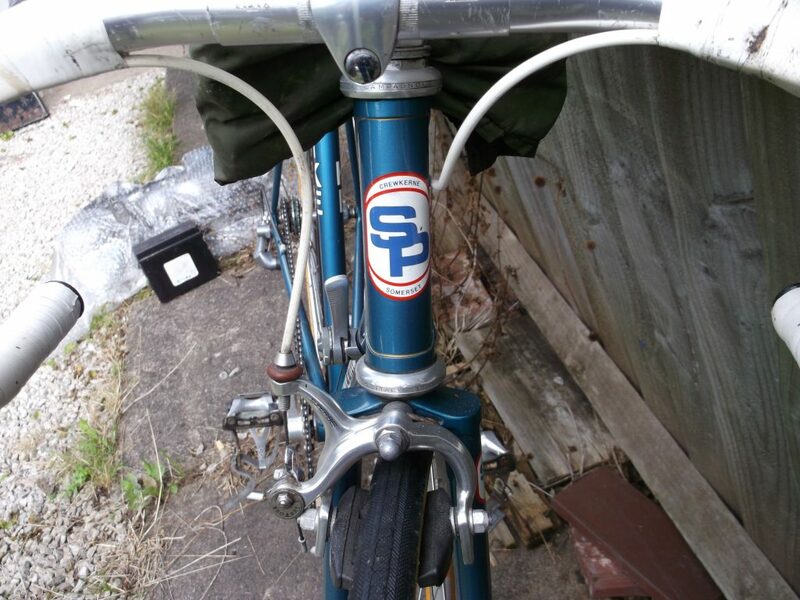 SP22252PW – 22&1/2” 74.3 degrees head tube, 74 degrees seat tube. 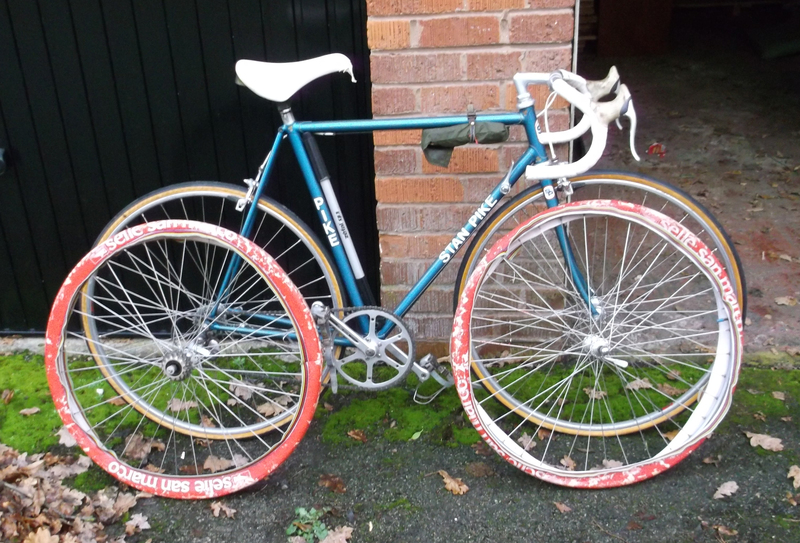 This one had a 2 degrees slope on the top tube and is build from Ishiwata 015 tubing with Columbus SV chain stays. 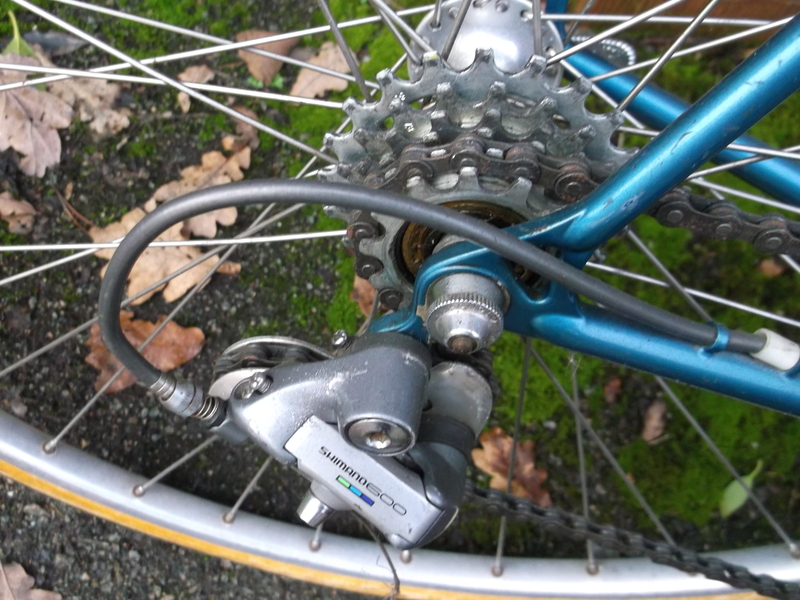 It also has a 13 &5/8 wheel clearance whereas the older one (from 1979) had a 13 &3/4 wheel clearance. 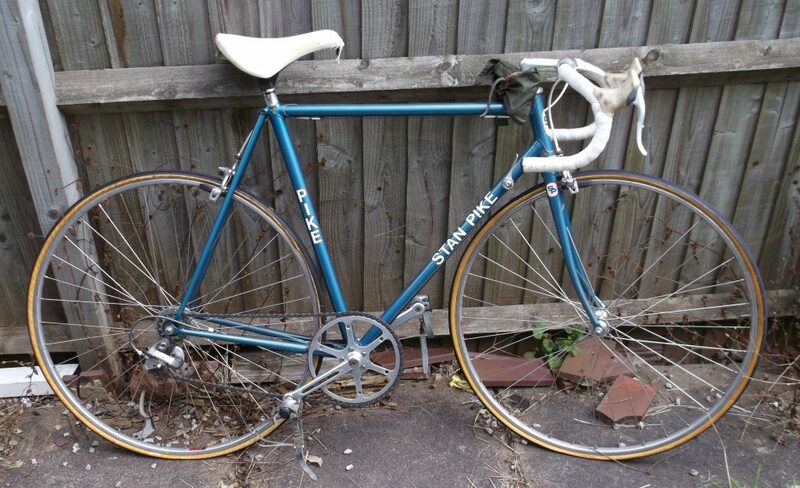 Stan also built another frame for me in 1980 (which he exchanged for the gold one) which was built from 753 tubing. 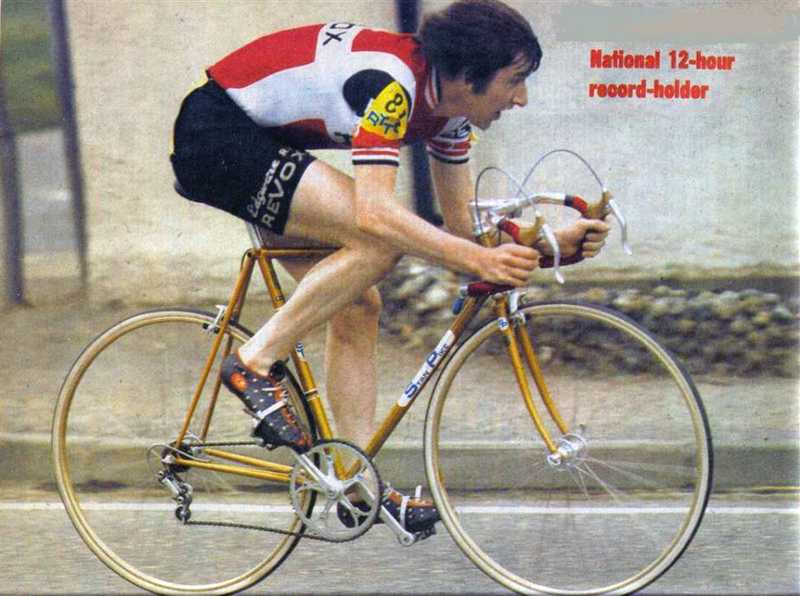 So this is the 1979 Ishiwata 015 (a) Alpha frame. Graham is looking to sell the bike. So if you want to get your hands on an Ishiwata frame get in touch. Come’s with a spare pair of wheels too! Don’t hang around though as these bikes are getting harder and harder to find. 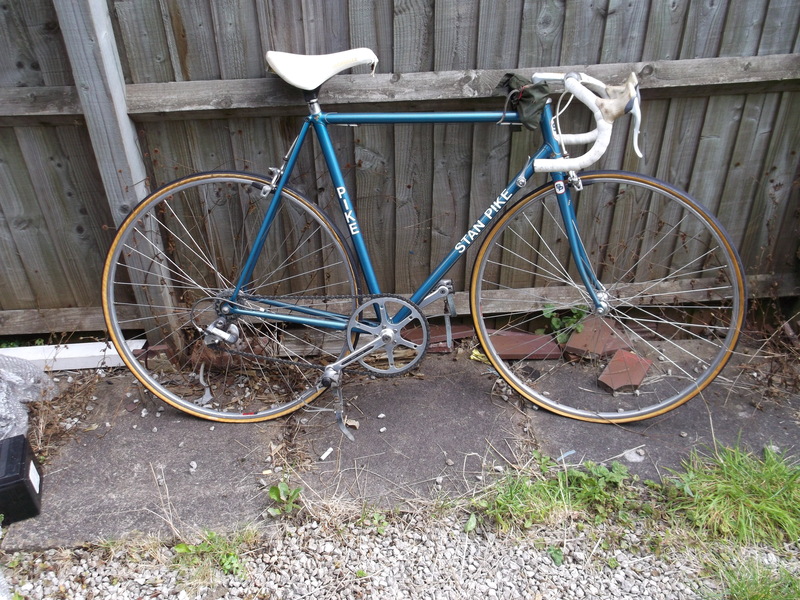 Offers over £600. Graham is based in Coventry.